We’re very excited to announce that we’ve just signed a license for the forthcoming ABC Cantonese Dictionary, edited by Robert Bauer, which we hope to start offering in Pleco in early-to-mid 2017. 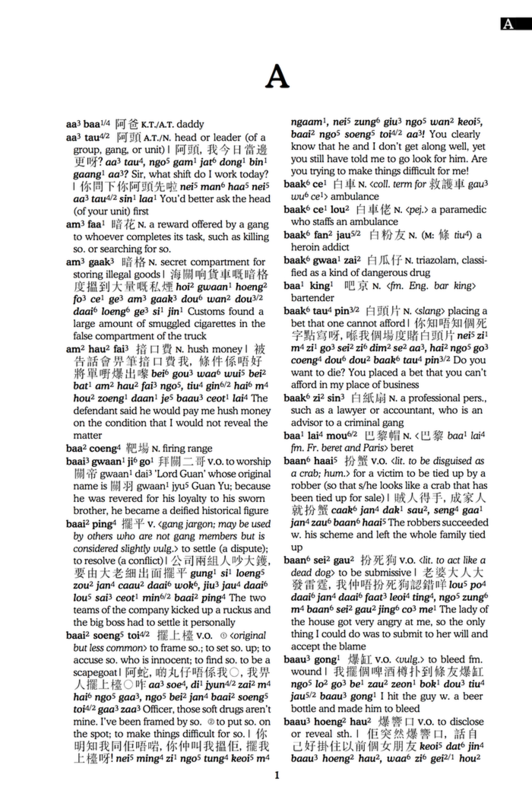 This is the first comprehensive Cantonese-to-English dictionary published in 30 years, and includes entries for about 15,000 Cantonese-specific words, with part-of-speech tagging and lots of useful example sentences. It should be a huge leap forward for Cantonese learning and we’re delighted to be able to offer it in Pleco. So you can now choose a Kickstarter reward level that includes a free, non-time-limited offline copy of the dictionary to use in Pleco. This Kickstarter is also well worth checking out even if you’re not particularly interested in Cantonese; it’s actually part of a much bigger move for Wenlin towards rolling out a full-featured web-based dictionary platform, and in fact several of the reward tiers also include access to their forthcoming web versions of the Mandarin ABC Chinese-English and English-Chinese Dictionaries.